Errors or glitches on Pokemon Legends can be posted here. Please provide screenshots wherever possible. Do you definitely have all the required items? It says you completed this quest so I'm assuming that you got it figured out over the past 12 hours! I'm not a developer. | Visit PL's IRC channel! Can you tell me how to do it,he won't talk to me.I have the dna,a geode and a magikarp from trade. BECAUSE YOU CAN ALWAYS GET YOUR REVENGE!!!!! GO GET YOURSELF A MEGA STONE TOO!!! The NPC will talk to you as long as you have the quest active. 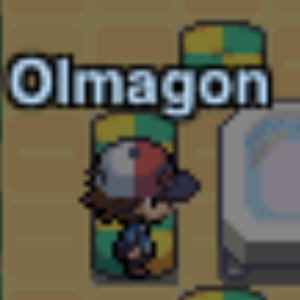 And if he yells at you about having an originally owned Magikarp, that means that there is a Magikarp that's originally owned by you that is quest enabled (it usually checks for the originally owned ones first). If you disable that one and make sure the traded karp is enabled, the dialogue will progress. Well I had this problem aswell. Basically, You need to have all the following items for him to actually say something. I reccomend you double check your inventory for the items, and checking to see if your magikarp is quest enabled. how i can get magikarp? Trade it from someone else- it just wants a not originally owned one.